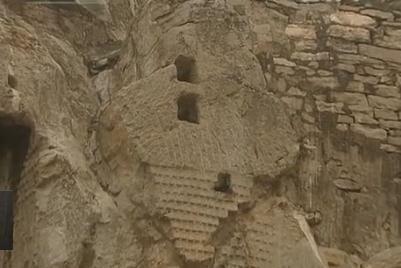 CHINE – - Longmen Grottoes - Excavation works are ongoing at the Longmen Grottoes, and looks like there's more for the project team to digitally collate. Hidden behind the walls for more than one thousand years, over 1,900 relics are now being brought to light by archaeologists. The relics were excavated in Leigutai Cave, one of the many caves there. This well-maintained head of Buddha is the most valuable among all new findings. Other discoveries include statues of Buddha, porcelain pieces, pottery and copper coins. Leigutai Cave is located in the southern area. The excavation began in 2008, and is now drawing to a close. 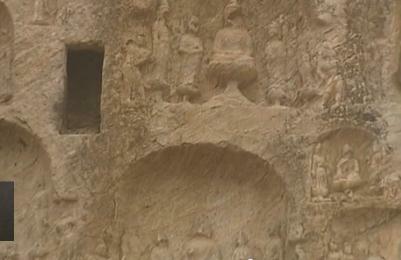 Ancient construction sites and stone foundations of halls from the Tang Dynasty have also been unearthed. Experts say the discoveries will be of significant help in the research of Tang Dynasty and regional transportation in ancient times. TURQUIE – Kibyra - The excavations of the ancient city of Kibyra in the southwestern province of Burdur, known for its history of gladiators, were completed last week. 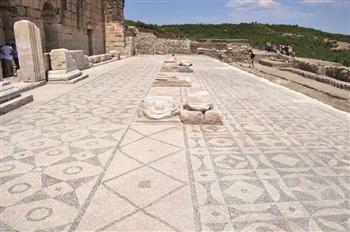 Şükrü Özdoğru, an archeologist working in the city, said they had found a new odeon, roads and mosaics in the city. The team also restored the ancient city’s walls and some of the buildings and excavated an ancient water system in the city, which shows the lifestyle of the society that lived there. ITALIE – Sardaigne - Italian coast guards seized Roman amphoras dating back to the IV century AD that rightly belong to the state from a motorboat belonging to a diving company stopped in a routine check in waters off the coast of the island of Sardinia. The vessel was stopped as part of routine controls carried out by Porto Torres coast guards when the officials found seven prized ancient jars steeped away under berth. An amphora is an ancient jar with two handles and a narrow neck. They were more commonly used to hold water, oil or wine. The amphoras are likely to have been retrieved from the relic of a ship that sunk between the fourth and the fifth century near Sardinia, according to experts from the Sovrintendenza dei beni Archeologici, the state Archeological department. The age-old shipwreck is located in the Cala Reale area of the Asinara island off the coast of Sardinia, according to the specialists. The underwater vessel has often been the focus of studies carried out by underwater archaeologists. Subsequent archaeological relics that by rights belong to the state were discovered in a subsequent search carried out at the headquarters of the diving company. The company in question was not identified by name. The coast guards have reported the motor boat owner as well as the person that was navigating it at the time it was stopped to the judiciary authorities and have taken custody of the amphoras. CANADA – Québec - Travaux d'archéologie sur le site de la maison Damase Boulanger, fondateur de la ville d'Alma. ROYAUME UNI – Londres - Conservation staff at Westminster Abbey clean the Cosmati pavement surrounding the tomb of Edward the Confessor and asses it for conservation on Sept. 24 in London, England. The highly decorative stone pavement is formed of small precious stones such as onyx and porphyry on a base of dark limestone, known as Purbeck marble. A shrine was erected in 1163 following the Confessor's canonisation and St Edward's body was brought in on October 13, 1269 to its new resting place. The Cosmati pavement provides the flooring around Edward the Confessor's tomb behind the High Altar of Westminster Abbey where the Duke and Duchess of Cambridge signed their marriage register. The pavement's protective covering has only been raised a small number of times in the past 100 years. ROYAUME UNI - Mantle Walls - Archaeologists are looking for traces of a possible Bishops Palace near Ancrum in the Scottish Borders. The field of Mantle Walls has long been suspected as the site of a major medieval building. Local tradition suggests it was the probable site of a Bishop's Palace, dating back to the 12th or 13th centuries, when the medieval Bishopric of Glasgow extended into the Borders. One of Glasgow's Bishops, Bishop de Bodington, who was responsible for building Glasgow Cathedral, died in Ancrum after dicatating his last writ to the Pope. The village, it seems, was at the centre of medieval religion and politics until the Wars of Independence. FRANCE – Montbard - Si les tours Saint-Louis et de l'Aubespin, les remparts et les salles souterraines constituent des traces visibles de l'ancien château des Ducs de Bourgogne, beaucoup d'éléments architecturaux disséminés dans le parc Buffon sont encore méconnus des habitants et des visiteurs de passage. Ce patrimoine caché ne devrait plus l'être longtemps. La ville de Montbard a signé une convention générale de partenariat culturel avec l'Institut National de Recherches Archéologiques Préventives (INRAP) pour mettre en valeur tout le patrimoine historique du Parc Buffon. Les chantiers de fouille, menés ces vingt dernières années, ont considérablement fait avancer les connaissances sur l'histoire du château, depuis son origine jusqu'aux modifications apportées au 18ème siècle par l'illustre naturaliste montbardois Georges-Louis Leclerc, comte de Buffon. Désireuse de valoriser cette histoire et celle des fouilles réalisées au parc, la municipalité a sollicité l'aide et les conseils de l'INRAP pour développer un partenariat visant à donner plus de lisibilité à son patrimoine archéologique. BULGARIE – Protograd - The oldest town in Europe – Protograd – proved to be a port. Head of the archaeological expedition working on the mound near the village of Yunatsite Assoc. Prof. Yavor Boyadjiev broke the sensational news. “In recent days we were digging in the center of Protograd and came across an industrial zone near the residential district. We found furnaces, workshops, etc. 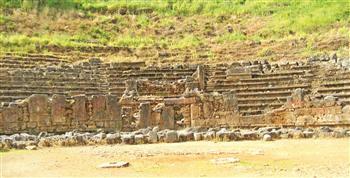 something like a prototype of modern factories,” the archaeologist said. It was in this area that his team also came across a shipyard with remnants of a vessel carcass and several smaller boats. In the opinion of Boyadjiev this is a proof that 7 millenniums ago the Maritsa and Topolnitsa rivers were navigable and commerce was flourishing in the region. The archaeologists found 11 Mediterranean bracelets made of seashells. 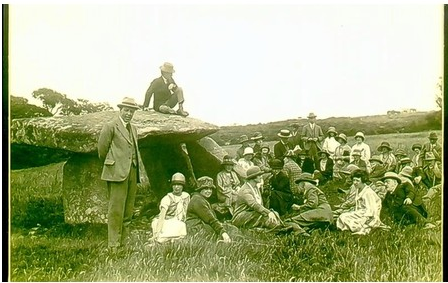 ROYAUME UNI – Carwynnen Quoit - Known locally as the giant's quoit, 5000-year-old Carwynnen Quoit will be accessible to the public on Sunday for a series of talks, walks and workshops aimed at improving understanding of the way our ancestors lived. Situated on gently sloping farmland at Troon, near Camborne, the Neolithic cromlech – similar to the quoits of Lanyon, Chun and Trethevy – has collapsed at least twice over the years, most recently in 1966, when it was toppled by an earth tremor. It is hoped it can be fully re-erected next year. Owned and managed by the Sustainable Trust, the site of the granite monument is being excavated to establish how ancient man was able to lift and manipulate stones weighing up to ten tons. It is due to be completed by October 3. A preliminary dig in July yielded Neolithic pottery shards, flints and a musket ball, along with pieces of "clinkers" – the residue of ash from a fire.